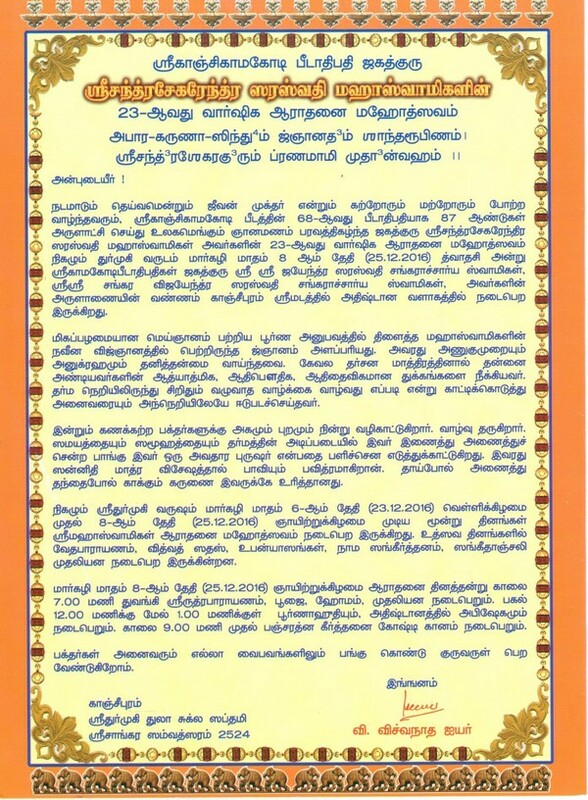 The 23rd Aradhana Mahotsavam of HH Pujyashri Chandrasekharendra Saraswathi Mahaswamigal - the 68th Pontiff of Shri Kanchi Kamakoti Peetam will take place at His Holy Brindavanam in Shrimatam on 25 December 2016. 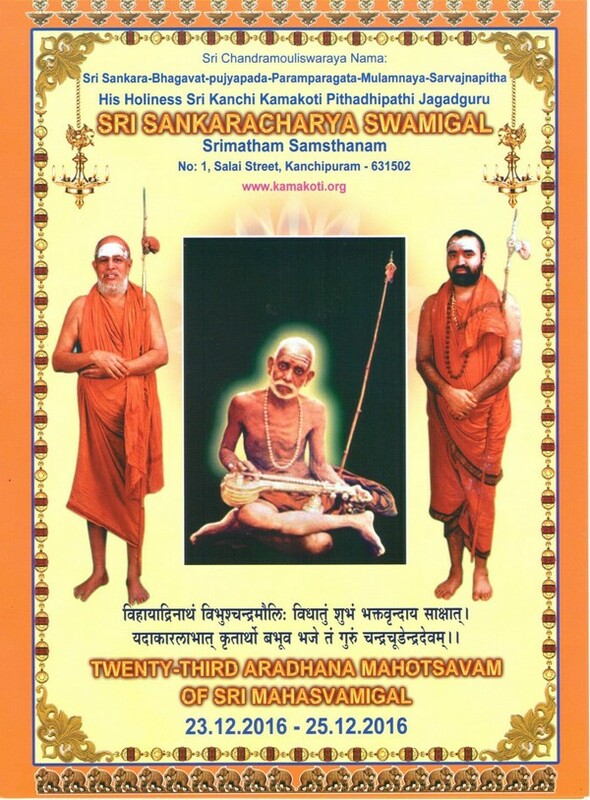 The Aradhana celebrations start on Friday - 23 December 2016. Veda Parayanam, Veda Vidwat Sadas, religious discourses, bhajans and sangitanjali by leading artists will be performed on these days. Ekadasa Rudra Japa and special homams for the welfare of humanity at large will be conducted on the Aradhana Day(25.12. 2016) from 7 am. Vasordhara, Poornahuti and Mahabishekam at the Brindavanam will be performed between 12 noon and 1 pm. Group singing of Pancharatna Kritis will start at 9 am. Devotees are requested to participate and receive the blessings of Pujyashri Acharyas.